As a United Church Indigenous clergy student, I felt uneasy traveling to Palestine and Israel because of turmoil in the Middle East. It takes courage to make an emotionally challenging Pilgrimage. In Palestinian refugee camps in Bethlehem, we witnessed Israeli soldiers harass Palestinian school children, reminding me of the Residential School Experience. When our Palestinian hosts asked our United Church group how we are addressing our own “Indigenous refugees” in Canada, I felt a validation of my struggle. As an Indigenous person growing up on a reserve in Alberta, I related to the tension and fear inside the Palestinian camp. Issues of limiting land access and curtailing human rights of Palestinians parallels the Indigenous Peoples’ experience in Canada. In the midst of all the chaos, a dove appeared in the form of prayers. Our tour continued in Jerusalem. 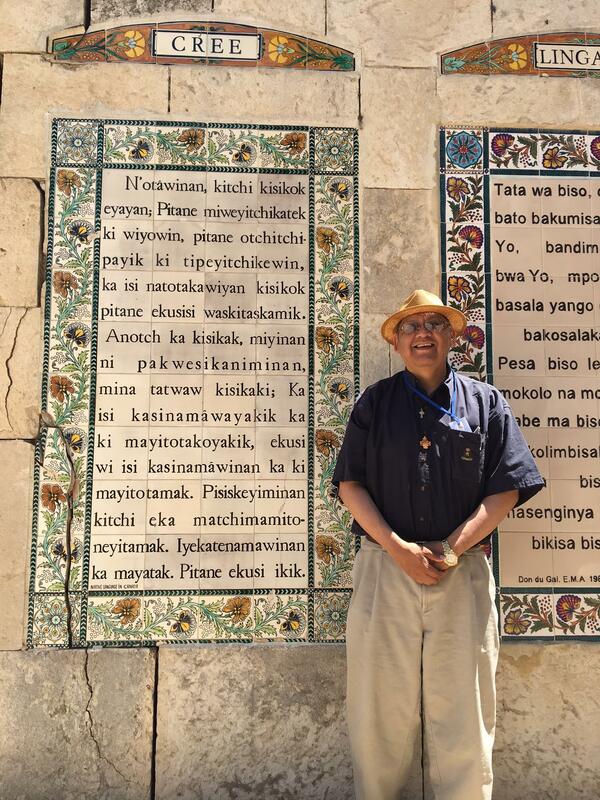 Following my visit to the Garden of Gethsemane, my brother and sister back home at seminary emailed me that above the Mount of Olives is a church called Pater Noster (Our Father), where there are ceramic plaques with The Lord’s Prayer in 150 languages. This compelled me to return the next day with my tour leader and cross through all the checkpoints again. Pater Noster was closed for lunch and we waited impatiently. Palestinian protesters arrived and marched through the streets, chanting. When the Church opened, we rushed in to search for the Indigenous prayers. Within minutes I located the Cree prayer and then the Nakota Sioux prayer, which is related to my Nakoda dialect. 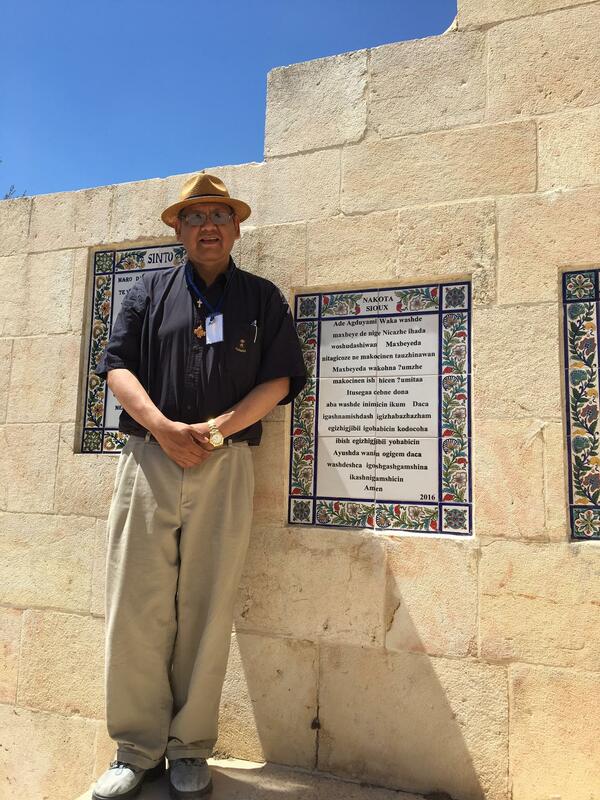 I felt humbled and in awe to see the Prayers of our People in Jerusalem, and validated because we know the Creator. First Nations have holy and sacred sites in Canada and our sites are of comparable importance to those in Jerusalem. 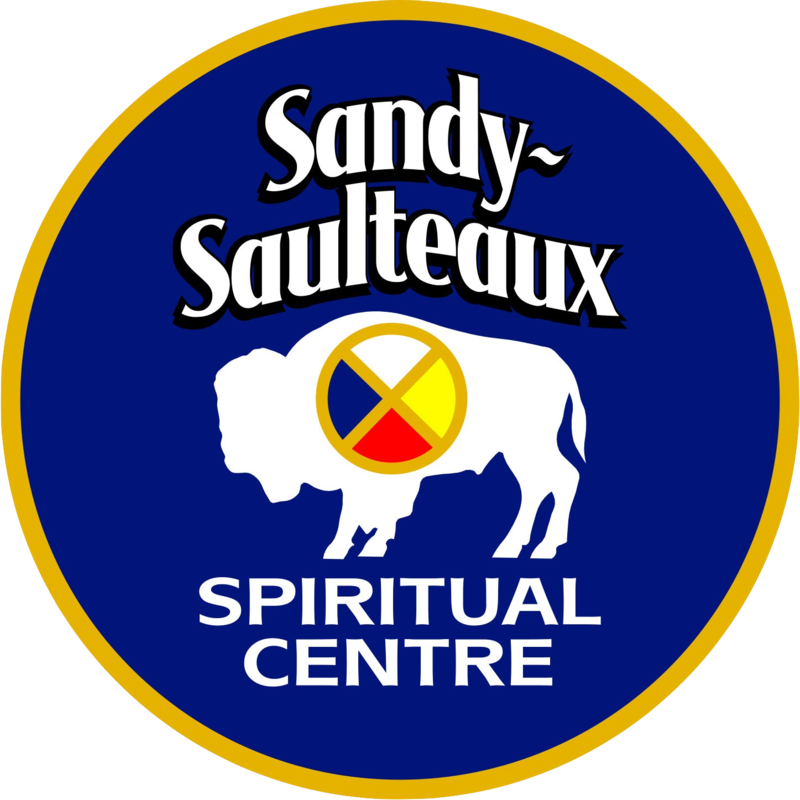 Indigenous traditional and cultural teachings, theological interpretations, fasting, prayer, vision quest and ceremonies may illuminate Christian understanding and experience. I had a reflection from the Indigenous prayers at Pater Noster. “I have many sheep that are not of this fold, but one day I will bring them, and there will be one flock and one Shepherd” [John 10:16]. My father was one of the first indigenous clergy ordained by the United Church. This Pilgrimage has given me strength and motivates our family’s work within Indigenous Communities of Faith. The Lord’s Prayer in Nakota at Pater Noster. The Lord’s Prayer in Cree at Pater Noster.